Neighbour Nico organised men to remove his tree. 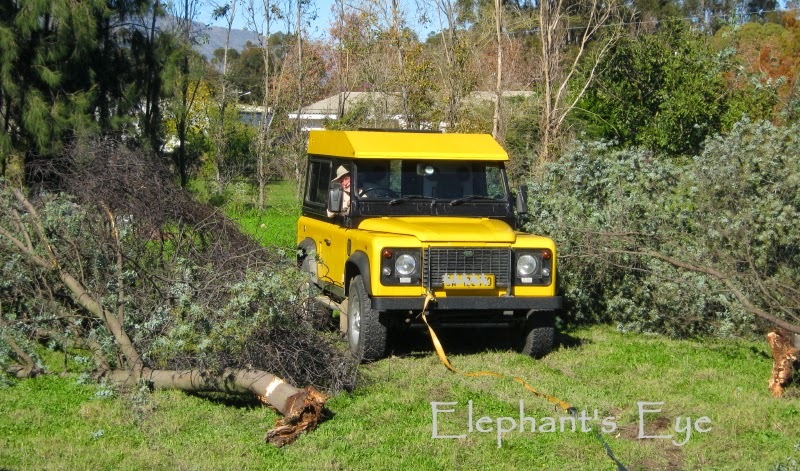 As neighbour Gielie once helped us bring down our pecan tree, so Jurg and his Land Rover went to help. Pulling on branches to untangle the tree as they chewed it down bit by bit. Till their back field was covered in a deep layer of felled branches. I picked some bits for a vase near our grass Land Rover. 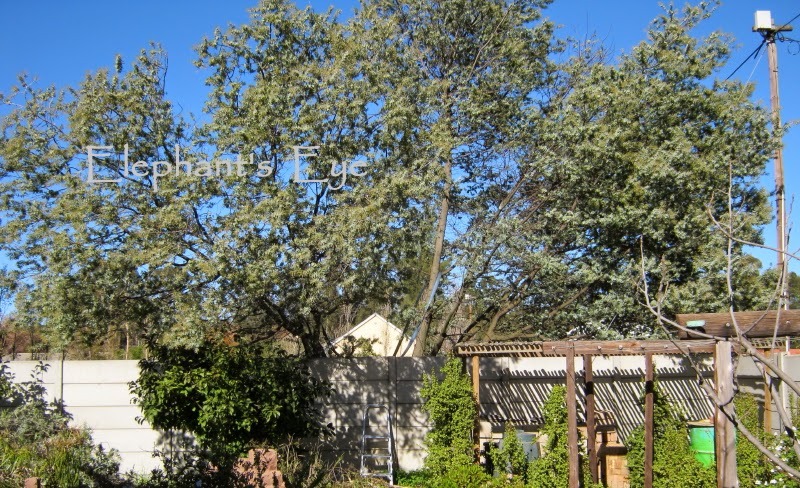 Some species of Australian acacia?? It has been an awfully long slow drawn out process but we have finally sold our Porterville home. 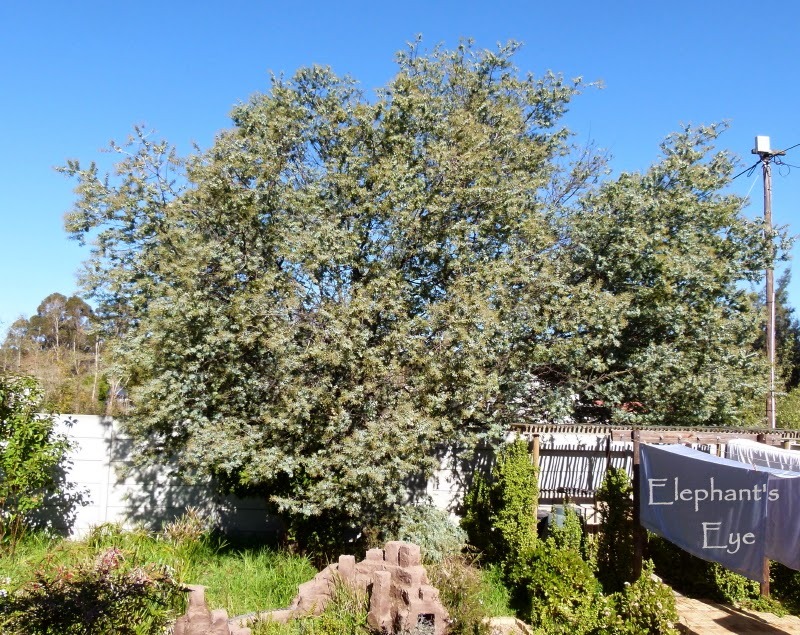 We hope, that the new people are looking after the garden for biodiversity in Porterville which we nurtured for 8 years. 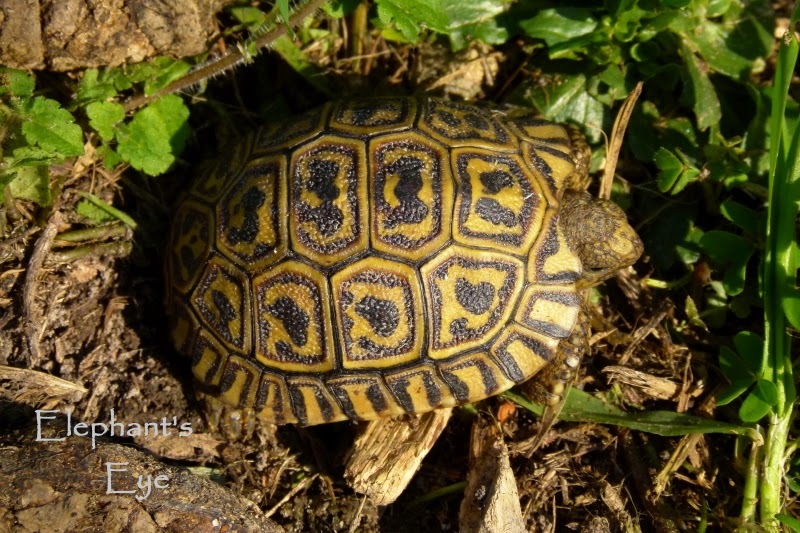 That the baby tortoise survives. That the birds are being fed. Gentle reminder to the once were Blotanists who STILL have a link to Blotanical on their blog - it is simply slowing down the load time of your blog as the computer frantically searches for Blotanical? Blotanical!! Since June last year I've been hoping for good news, but both the original Blotanical and version 2 that half a dozen of us were testing have been mothballed by Stuart. If you are Blogger / blogspot and have your sidebar blogroll sorted by date, please do look at the older end, where I often see Muddy Boot Dreams 'Moved'. You are sadly missing Jen's new blog style, stories with heart and life happens to accompany the wonderful photos she has always brought us. Elephant's Eye is no longer our home, a place. It is simply a blog which will fade away into memory. This is my final post here. The chapter is closed. 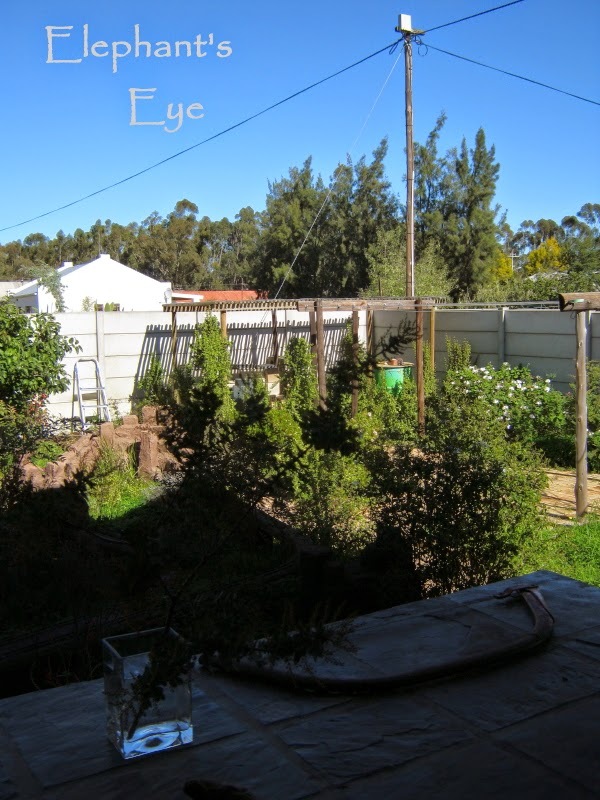 We, the Ungardener, Aragon, Chocolat and I, are now living in a new old garden on False Bay. 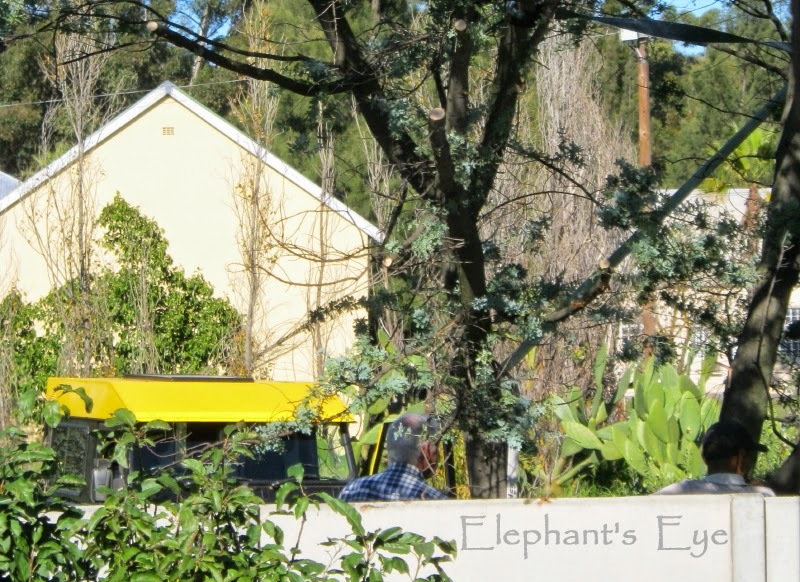 After five years of blogging here, I invite you to journey with us to Elephant's Eye on False Bay. Please change in your preferred way of subscribing - email via Feedburner, or Feedly, or Bloglovin ... I appreciated your comments on this post for the final week. Flowers in our new garden for Christmas! that is both good news and bad - good that you have sold the house, bad that you have to leave the plants and animals behind and that the blog is closed. I hope you will enjoy the new garden. Keep up the work for biodiversity in your new home. It was a pleasure reading about your wild garden here. (you should see all the potted bulbs and cuttings, lined up, waiting impatienly till we can plant, AFTER renovation ...) So far we have many birds, geckos and lizards in the new garden. Always sad to close a book, but the excitement of a new story beckons, and, for you both, I wish it fills your lives abundantly and with contentment. Today, the weekly grocery shop, along Chapman's Peak to Woolies in Hout Bay. Blissed out! Oh no! 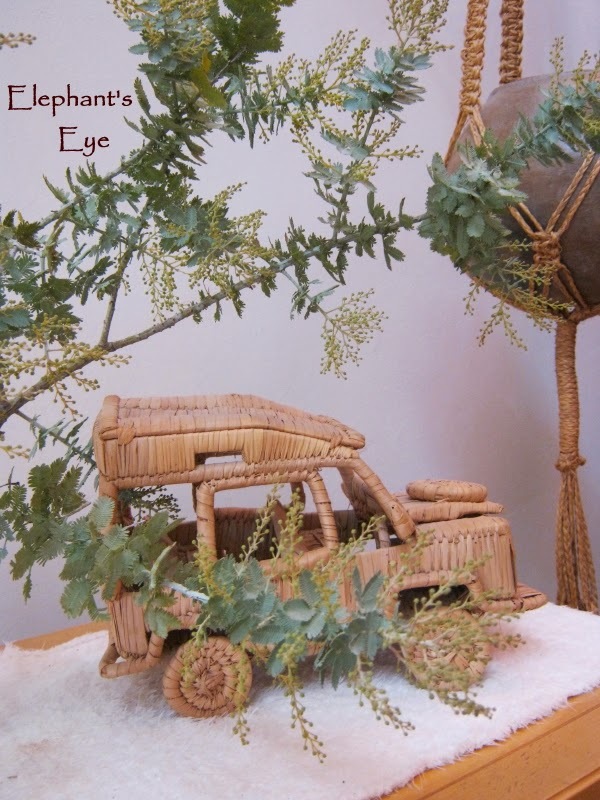 How I've loved your Elephants Eye chronicles! And the Blotanical adventure. Such a sad feeling that both have come to an end. I'm excited for you, though, Diana. A new garden to pamper, new stories and a new blog.I wish you all happiness in your new place. when I read 'my' garden blogs most of them were found via Blotanical. I have Blotanists to thank for help, advice and encouragement in those first weeks and months of blogging. The 'Does this work?' 'Is anyone there??' scary stage! With Stuart we tried Version 2, but, sadly it didn't work out. This is going to be so hard to lose because of the wonderful way you invited us into your gardens and life. Thank you for all the years! I'll be sure to reset to the new but want to keep this just for the beauty of it, and half an Earth's Journey away. See you at the new blog! I will leave the posts up, as even the early ones still draw readers.And I'll be linking back from the new blog for the plants that travelled with us. 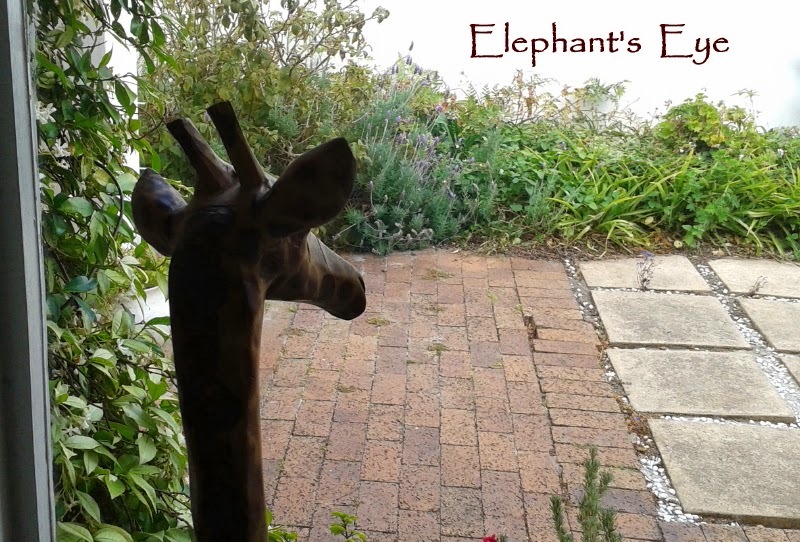 I am glad you are now in your new home, but it is sad to see the Elephant's Eye garden and blog go. But I do look forward to what your new garden will bring us. I had noticed a couple months ago that the Blotanical logo on my sidebar had no image and then found the site was mothballed. I do miss it and the community there...here's to new beginnings in 2015 Diana! the early bonds forged at Blotanical will hold us together as long as we both continue to blog. This third garden is a whole new experience. We have sandy soil we can DIG in (granted my cuttings keel over until they have roots, but, we can DIG!) Manicured is not my style but now I can work around the whole garden, a day's work shows a visible difference. Endings tinged with a little sadness (leaving you beautiful old garden and the wrap up of Blotanical) and a blissful new beginning all at the same time. I will miss the posts about your old garden and the adventures you had around it, but it seems like you've moved to an interesting, exciting new place and I can't wait to see what stories unfold. I'm again at a between stage, revelling in living in the moment first. But the second time, I'll be blogging about it. Today on the scenic Chapman's Peak Drive to Hout Bay and decades of memories come back. 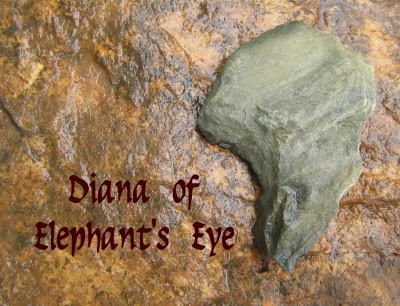 Elephant Eye, Blotanical and Blotanists... those were the fun-filled days of gardening and blogging. It was at Blotanical where we found each other and learnt from one another's experiences. I have always loved ver. 1 and hoped it never changed ... the picks and reads. Anyway, we gotta move on with life, here's my best of the best wished for you in your new blog and sweet remembrance of the old one. I did enjoy Blotanical. Without it we have to work much harder to find and encourage new bloggers. Dear Diana: I'm sad to hear that Blotanical is moth-balled. I was holding out hope that it would return in version 2. I met many of my blogger friends (including you) there. Congratulations on the sale, although I know your thoughts are probably bittersweet. Best wishes as you forge into this new path. Peace. Our life has changed from the last ... to the first ... today it was family to lunch. Ah yes. You and Blotanical and Blotanical and you. And before that meeting at Mooseys. It seems as though our paths will be intertwined, now about how to change from one blog which is place-bound to another. Lead on, Diana! I follow thee! Ooh, then I'll be looking for a link to YOUR new blog Jack! Change is good, they say. We've had 3 weeks and are beginning to feel at home. Blotanical was an easy way to find garden bloggers. Maybe I would never have continued with my blog if I hadn't found Blotanical. Now I follow your blog and many other garden blogs in Feedly. Feedly keeps me in touch with blogs found over the last 5 years - it's finding new blogs that Blotanical did so well. So you have done it, sold and moved! I hope it works out just as you would wish and I will move blogs with you. The garden space is still a challenge, but on a scale that elderly Aragon approves of. Better suited to us. Diana, oh, this is not a funny to read post and you wrote it with your heart. I hope it will be a good way for you and yours, I hope it will be the right direction you go, I hope you will be happy with your new home! A big big hug and all my best - good furtune should be like an guardian angel for you! Have a happy holiday season and for sure I'll be around! It is good! We have a line of plants from the nursery, waiting to fill the spaces we have had cleared of unwanted alien trees. Third garden, and now I plan my plants to give nectar to the sunbirds - who are complaining bitterly that there were Australian bottlebrush trees here yesterday! !